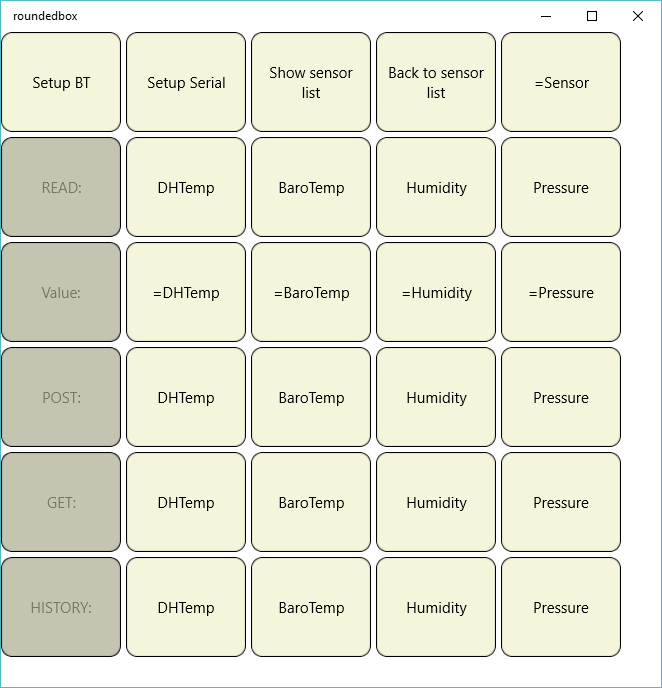 Other GitHub project: IotAzureSensors .. 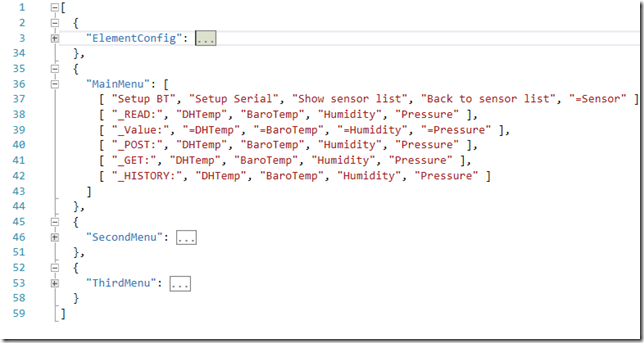 The IoTCoreMenu project within. 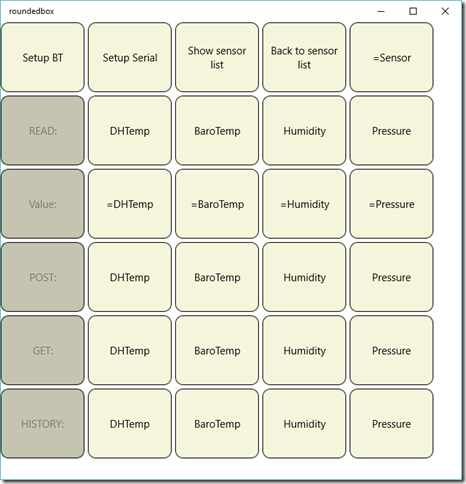 Buttons are programmatically added to the Grid. Button tapped events are passed back to the main app, identifying which button was pressed. The class file is copied from IoTCoreMenu project Helpers/menus.cs to Helpers\menus.cs in the SurfPad project. 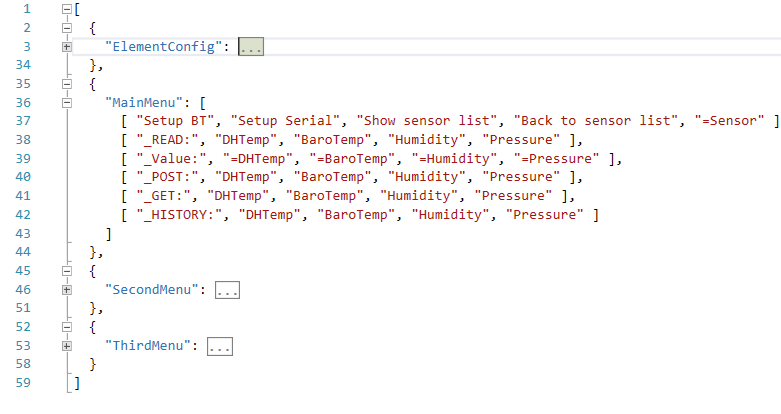 The json file is copied from the root of the IoTCoreMenu project menus.json to Data\menus.json in the SurfPad project. The json file is set as content to be copied in the build and the class file is set to be built. These lines as above were inserted as lines 9 to 14 in the json file. They can then be read in the app MainPage constructor. 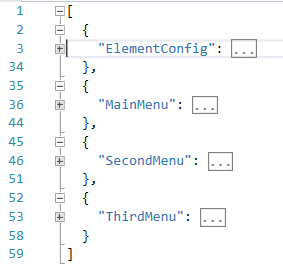 The MainMenu items in the json file is reduced to six items as iRows is set to 6. The MainMenu items each represent a row in the grid of buttons; each item in the row being a button’s text. The Namespace for the class is set to the SurfPad Namespace, ie SurfPad. Enabled is a property that was added for this app to the Commands class. The IoTCoreMenu app inserts a TextBlock if the command name has an underscore prefix and a TextBox if the prefix is an equals sign. For this app we will implement the TextBlock by setting the Button in the UserControl to disabled, remebering that its content is a TextBlock. We will ignore the TextBox option for now. menu is the displayed text for each button. 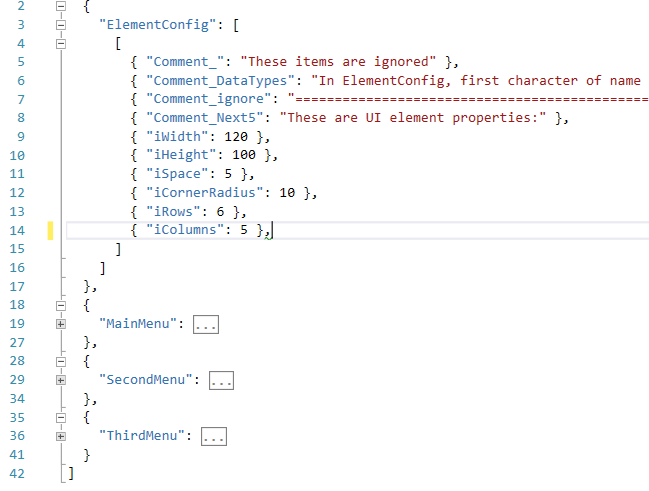 This is called for the InitTheGrid() call so that the config data can be used for the grid. 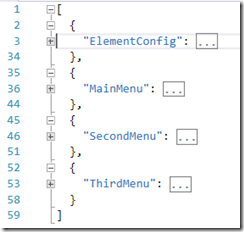 The use of a json file to load app parameters, specifically for an XAML grid is demonstrated. Also button text is also loaded form the json file as a two dimensional array to be so placed as button text in the grid. 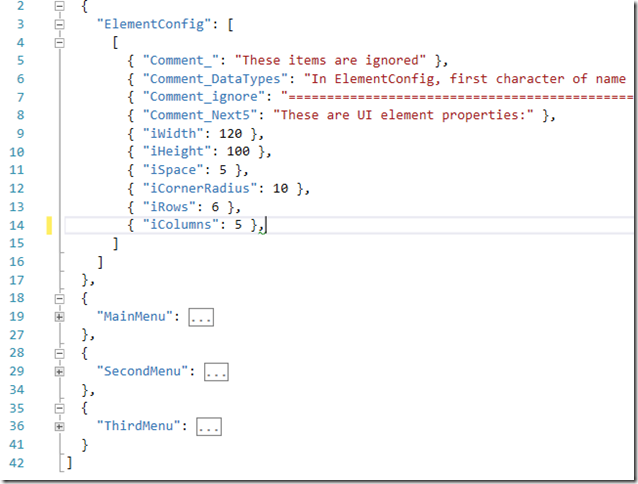 This article demonstrates how to specify app metadata in a Json file, how to load it and store in a dictionary and how to use it in configuring an XAML grid in code behind. It similarly demonstrates the specification of of the RoundeBbox button content..